lets talk about something that is not really the number one topic in small talk conversations: personal hygiene! I know that lots of ladies, including me, are being irrated by using normal soap or shower gels for their intimate hygiene and that being said the market reacted with loads of different products in the past ten years. not all of them are good, some have almost the same ingredients as a regular shower gel and some are still causing irritations eventhough they claim to be gentle. so thats why I was super happy when I discovered FEMINA by lubex about a year ago. lookwise it can not compete with all the other products but it absolutely promiseses what it claims and works perefectly for me. and in the end it should not be about how the product looks it should be about how great it is. nevertheless have a look for yourself and give it a try. effective against fungi and skin foreign bacteria. a reassuring ingredient of chamomile with anti-inflammatory, disinfecting and wound-healing properties. It is externally applied for the treatment of skin diseases. you can find the LUBEX femina in pharmacies and as I already explained in previous posts LUBEX/PermaMed are not using any preservatives, fragrances or any other kind of dyes, this makes it an awesome brand for people with sensitive skin. in the end I am happy to know and see that there are only benefiting ingredients and nothing that could harm my skin or health in general. I recently read this article and it made me think about what I am using on a daily basis. whats your opinion on that? I really want to be sure to only use quality products. starting with using handmade soap to wash my body that comes without plastic, not wearing makeUp every day and using products without preservatives and other harming chemicals. no allergenic perfumes. thats awesome in so many ways! the RICH line is for dry to very dry skin and/or mature skin. well I never know what to believe when it comes to anti age or mature skin products. I am 32 years old and I can obviously see a difference in my skin from when I was 16. I have dry skin so often extra moisturize comes with the anti-age products, like in that case here. but now wait, if you think RICH means greasy than you totally misunderstood me, the creams are nicely smooth and are being absorbed fast. there are apple stem cells to keep our skin healthy and young and soy isoflavone liposomes to increase the elasticity and improve the structure of our skin. peptides and coenzyme Q10 are leading to a long-lasting lifting effect. HAF, hyaluronates and ceramides hydrate very intensively and make our skin more resistant. multi-active AntiOx system HDBM, protect actively during 24 hours against free radicals. 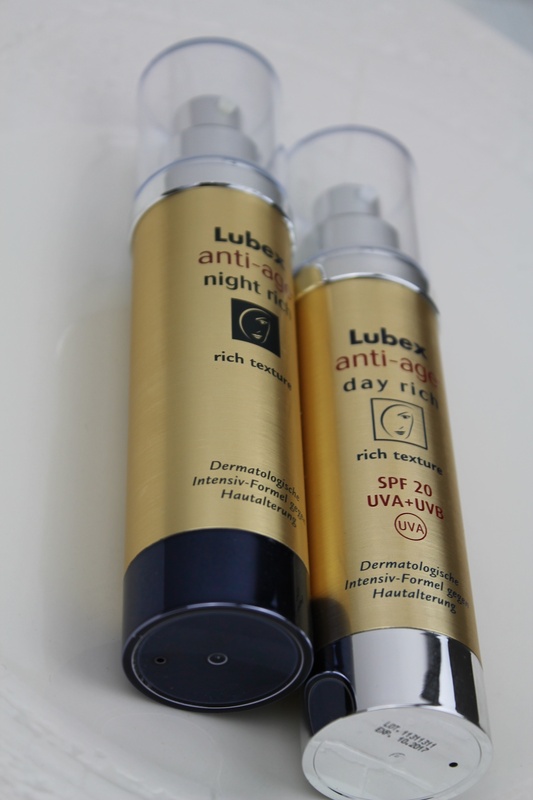 both of the creams are having a very high content of moisturizing factors and high content of lipids. a high-dose retinol regenerates our skin and repairs skin damages. there are also soy isoflavone liposomes, like in the RICH DAY, that increase the elasticity and improve the structure of our skin and peptides and coenzyme Q10 that lead to a long-lasting lifting effect. HAF, hyaluronates and ceramides hydrate very intensively and make our skin more resistant. 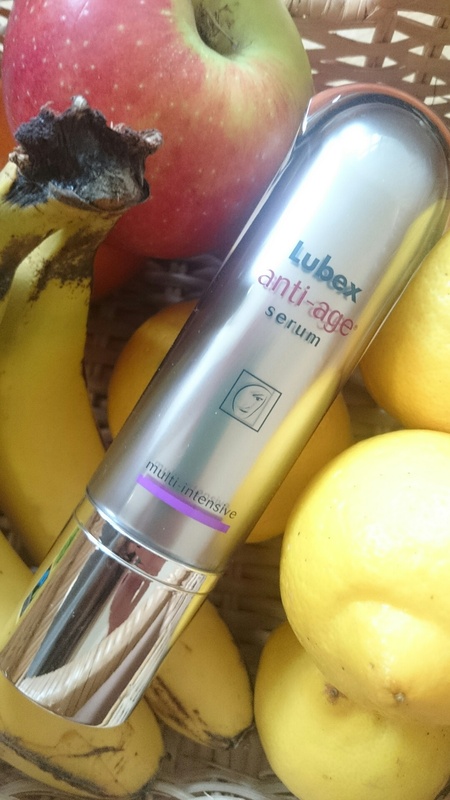 I discovered another awesome product by LUBEX anti age – a swiss pharmaceutical company based in Therwil, a couple of kilometers from Basel – and my newest discovery is called LUBEX anti-age serum multi intensive! so I was using the serum for the last couple of weeks and I was applying it day and night before moisturizing. during the night I was using my hydration oil afterwards and the two things together really glutted my very dry and irritated skin! it has a wonderfully smooth and light consistency with a very nice subtle scent. 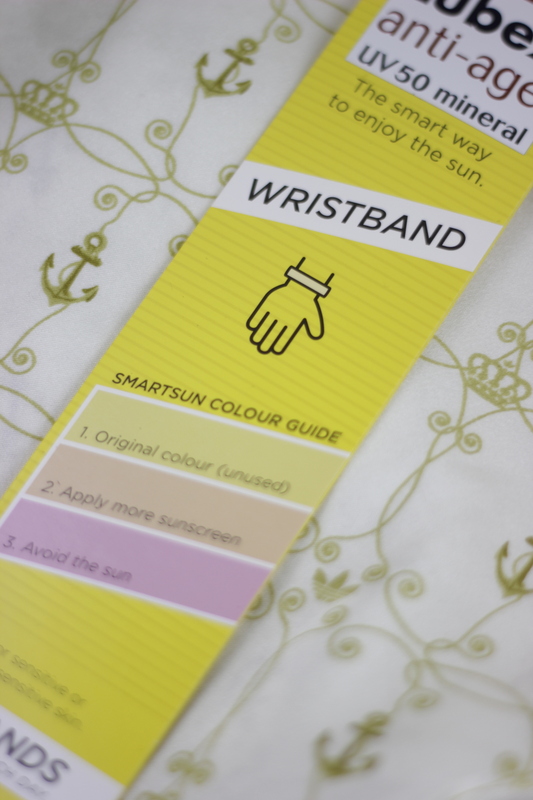 I really love the packaging – it is very neat and handy and it prevents the product from being attacked by sunlight. 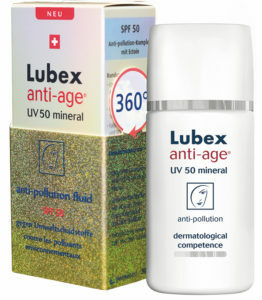 as LUBEX anti age has removed all the preservatives it is very important to protect the very fragile ingredients. 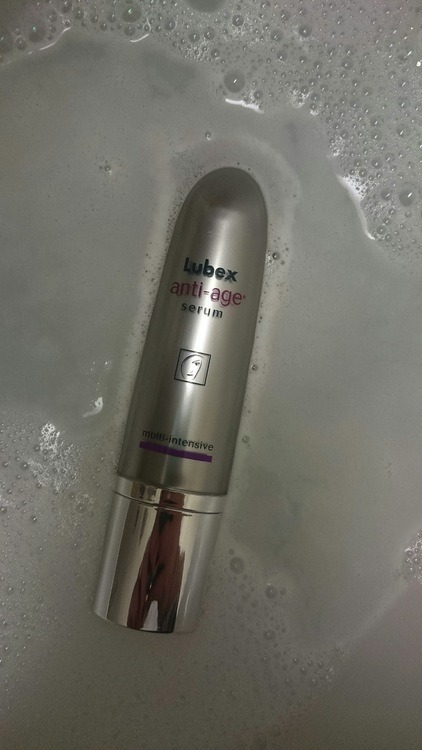 my lubex anti age serum fell into the bath tub and I thought it actually looks quiet nice in the foam so I took my camera and captured it. 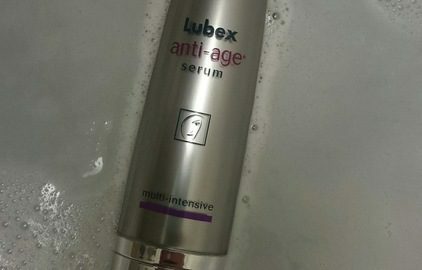 so what does Lubex anti-age® serum do for a visibly more beautiful skin? it provides a unified complexion due to the vitamin C glucoside and it retains a youthful appearance due to resveratrol. by using the serum on a daily base the help of ectoin also increases the resistance of the skin against environmental stress factors and it corrects fine lines and expression lines with use of poly-, penta- and hexapeptides. and most importantly hyaluronic acid which hydrates intensively and makes the skin super soft. unfortunately so many people have allergies and deal with very sensitive skin, I can include myself to the second group and therefore I always pay extra attention to the ingredients! 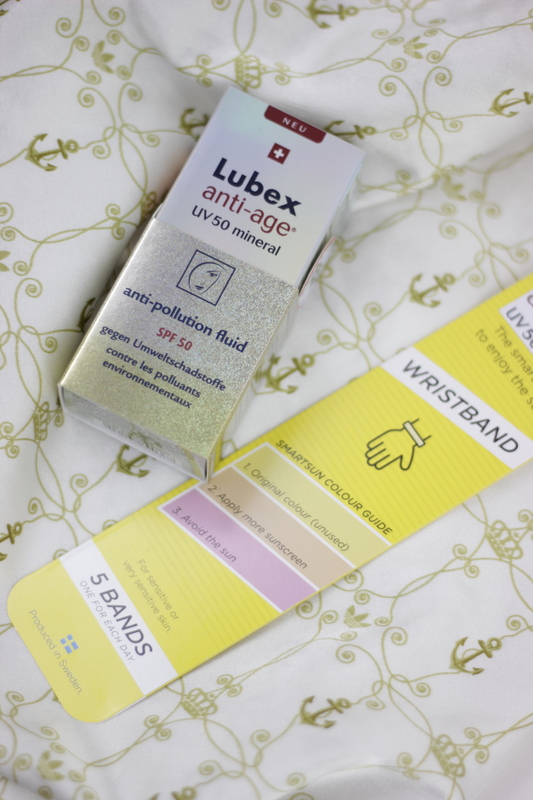 lubex anti age products are especially made for people with sensitive skin or people that have allergies to certain ingredients and every single product has been developed and tested by professional dermatologists! vitamin-C-glucosides also called provitamin C. vitamin-C-glucosides has an antioxidant against free radicals, reduces pigmentation marks and repaires the stressed skin by UV rays. so vitamin-C-glucosides are very active against skin aging and therfore used by LUBEX anti age serum! resveratrol is a sirtuin (SIRT 1) activator that protects the DNA and increases the longevity of the skin cells. the innovative liposomal microencapsulation of bioactive agent works specifically in the cells of the epidermis to improve the vitality of the skin and to slow the aging process! ectoine acts as a natural DNA and cell protective factor against UV-induced skin damage and it supports the immune system of the skin! furthermore it prepares the skin for an efficient response to stress. ectoine was identified as the one substance that protected the organisms in the desert from intense sunlight, high temperature and drought. it is used as an active ingredient in skin care and sun protection, it stabilizes the natural structure of biopolymers such as proteins, nucleic acids and biomembranes. ectoine has been shown to protect against skin damage caused by UVA and UVB radiation and the most special feature: ectoine does not act as UV filters, but rather as a preventative cell protection against sun allergies, UV-induced skin aging and light dermatoses. it prevents damage in the epidermis and in the deeper layers of the skin and protects the skin’s immune system! poly-, penta- and hexapeptides or peptides are very important messengers to block the skin and they play a huge role in wound healing. even the normal daily skin regeneration process has to deal with small tissue damage that must be repaired and balanced. over time this ability declines more and more and the aging process of the skin begins. poly-, penta- and hexapeptides specifically activate biological restructuring processes in the skin and therefore age-related skin damage is being repaired – the skin becomes more resilient and toned. hyaluronate or hyaluronic acid intensively hydrates the epidermis and protects the skin from drying out. in addition, they act like retinol (vitamin A) and pepdtide: that means they improve the structure and density of the skin and make it more elastic. 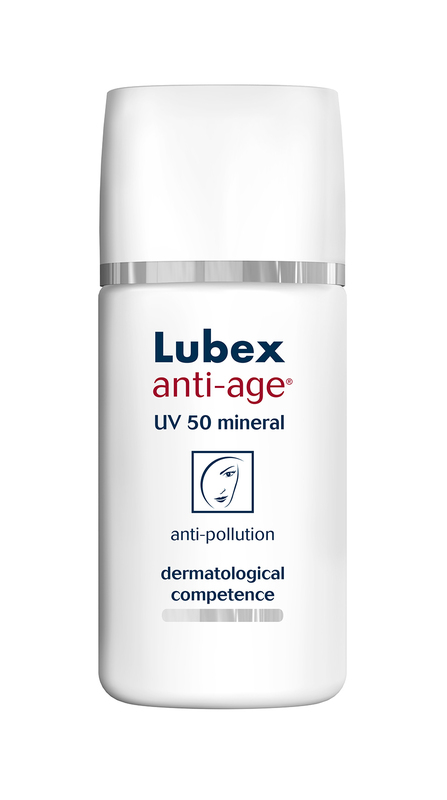 so I hope you found that helpful and interesting and that you can now find the perfect product for your skin – there are so many other products by LUBEX anti age that I wanna try and I am curious to test the cleansing milk and the tonic – stay tuned for more. 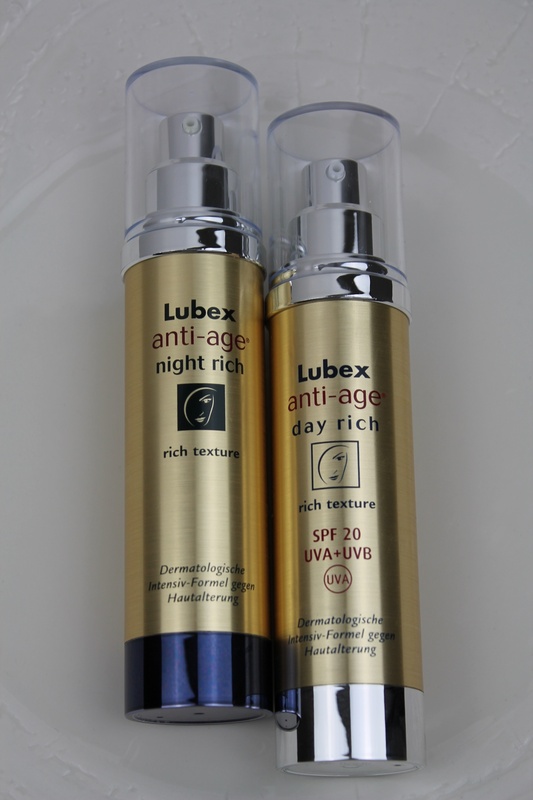 Lubex anti – age hydration oil – developed by leading swiss dermatologists and tested and produced in therwil, switzerland in fact just a couple of kilometers away from my home. so why am I showing you this? first of all because it is something for sensitive skin – something I am dealing with and secondly because I wanted to test this product. FOREVER YOUNG – I WANT TO BE FOREVER YOUNG <3 so let me start, as I already told you it is perfect for sensitive skin but there are other very nice benefits – something that impresses me a lot! Lubex belongs to the family enterprise permamed and with every anti-age product you purchase they support the swiss cancer league with 1 CHF. the anti-age hydration oil consists mainly of three oils: KAHAI oil (tightens the skin and reduces wrinkles) – BRAZIL NUT oil (nourishes, hydrates, and smoothes the skin) and BLACK ORCHID extract (contains flavonoids, antioxidant protection against free radicals, soothes and regenerates the skin effectively).